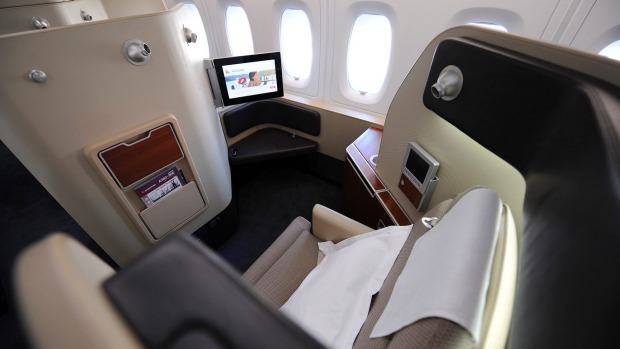 ON BOARD THE QANTAS A380: First class on board the Qantas 380. 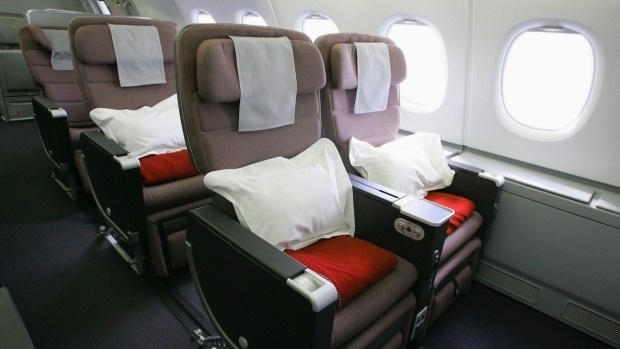 Economy seat aboard the Qantas A380. 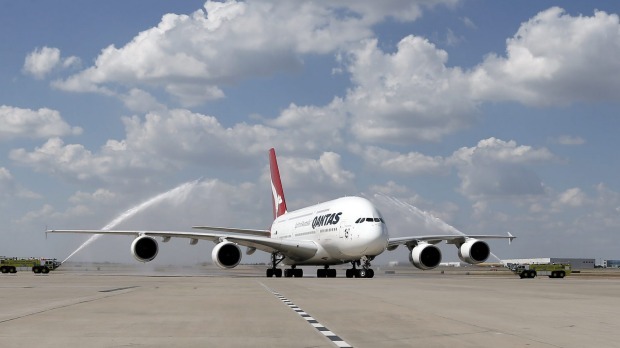 The first Qantas A380 arrived in Sydney on 21 September, 2008. 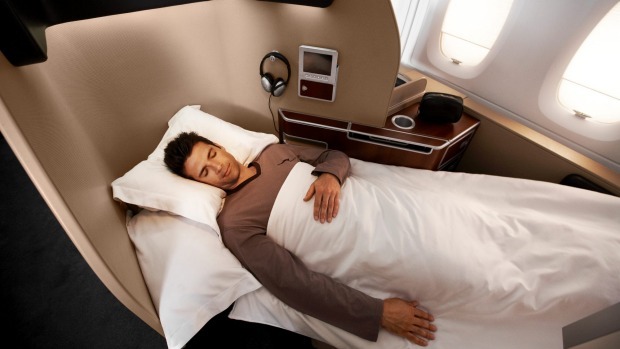 Qantas A380 business fully flat bed. 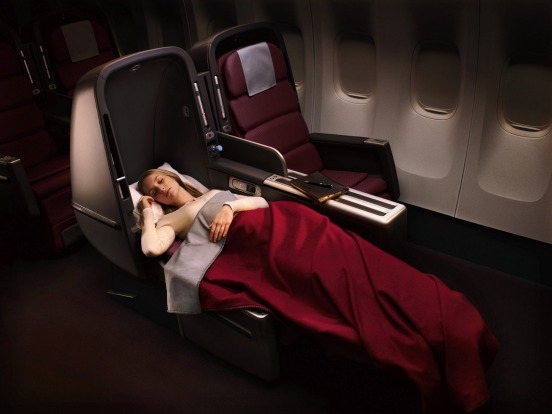 Qantas A830 first class suite. 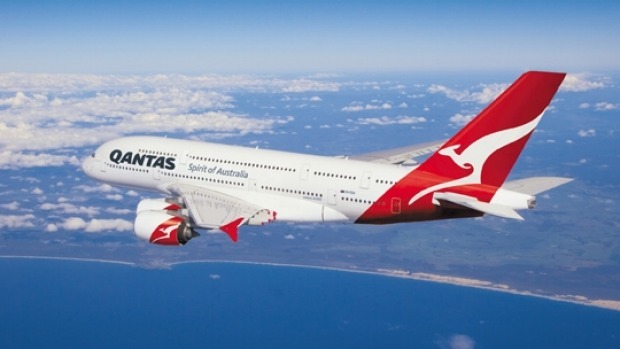 An annual survey of the world's biggest airlines has seen Qantas named the world's safest for the third year running. The Australian carrier was praised for its "extraordinary fatality-free record in the jet era", with Australian carrier Virgin Australia also making the top 20, while Virgin Atlantic was the only UK airline to make it into the top 20. 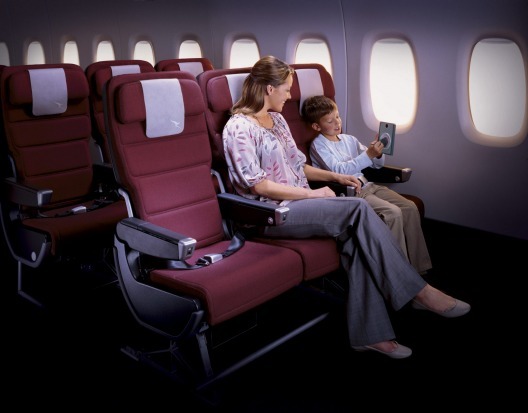 Qantas topped last year's list having been noted for its "extraordinary record of firsts". 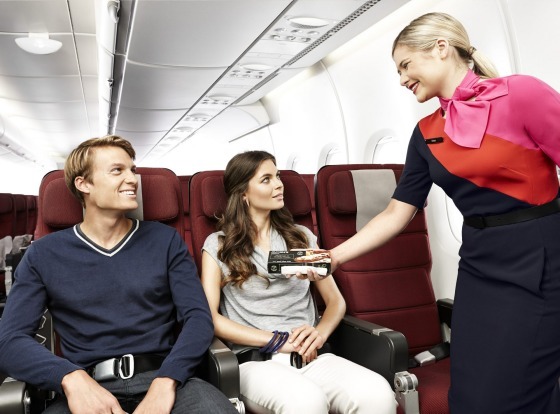 In a separate ranking for low-cost airlines, one Australian carrier and two British carriers featured - Jetstar Australia, Flybe and Thomas Cook, respectively. The lists (see below for a full breakdown) were compiled by AirlineRatings.com, an independent plane safety and product rating website. The website provided safety ratings for 407 airlines, awarding them up to seven stars for safety. Of those surveyed, 148 were given the top seven-star safety ranking but almost 50 had just three stars or less. The website's star ratings take multiple factors into account, including whether an airline has been certified by the International Air Transport Association (IATA), if it is on the EU's airline blacklist, its crash record and whether the fleet has been grounded over safety concerns. A star is removed if the airline operates only Russian-made aircraft. 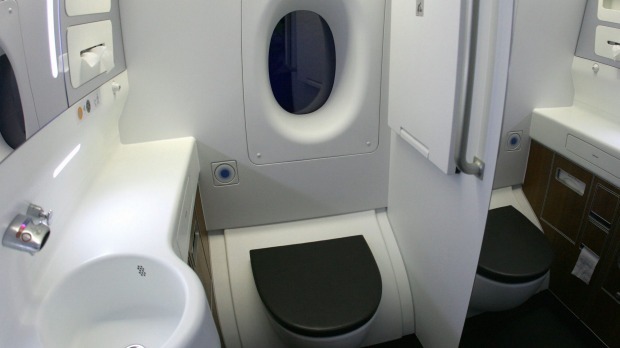 British Airways was one of the 148 airlines awarded the maximum seven-star safety rating, something only given to non-budget carriers, although it did not make it into AirlineRatings.com'sk of the 20 safest airlines. 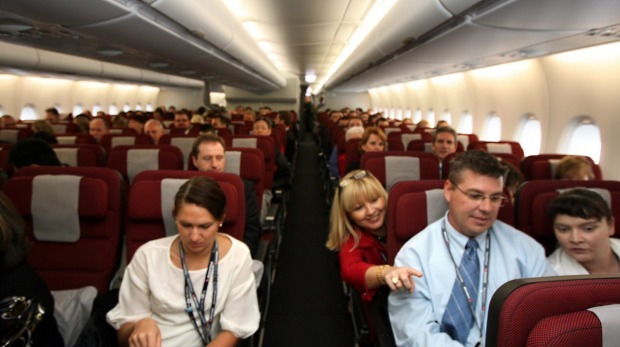 In deciding which make the top 20, judges at AirlineRatings.com also compared each airline's history of incidents and operational excellence. 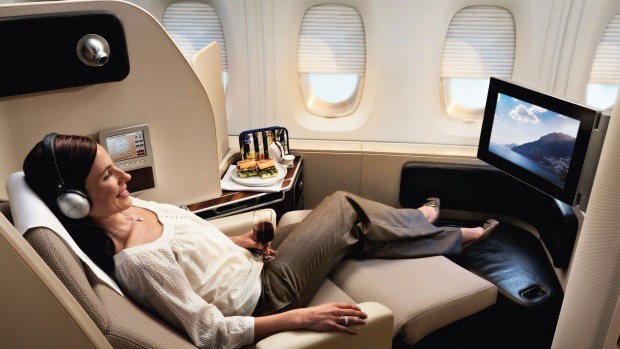 Along with Qantas, other airlines to make the top 20 included Air New Zealand, American Airlines, Etihad, Emirates, Finnair, KLM, Lufthansa, Swiss, United Airlines and Virgin Atlantic. "Our top 20 safest airlines are always at the forefront of safety innovation, operational excellence and the launching of new more advanced aircraft," said Geoffrey Thomas, AirlineRatings.com editor. 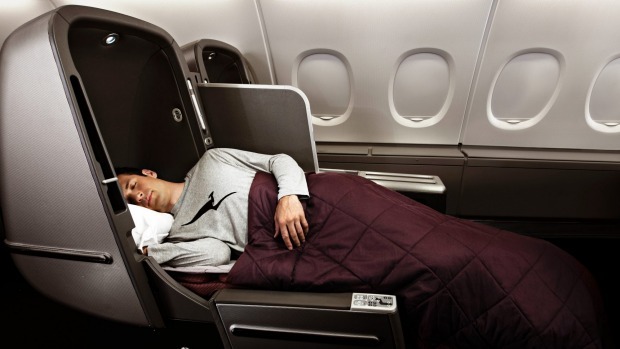 "These airlines are always at the forefront for excellence in the safety space," he added. 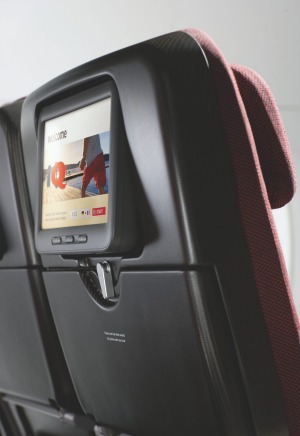 "However there is no question amongst the editors that Qantas remains a standout in safety enhancements and best practice." 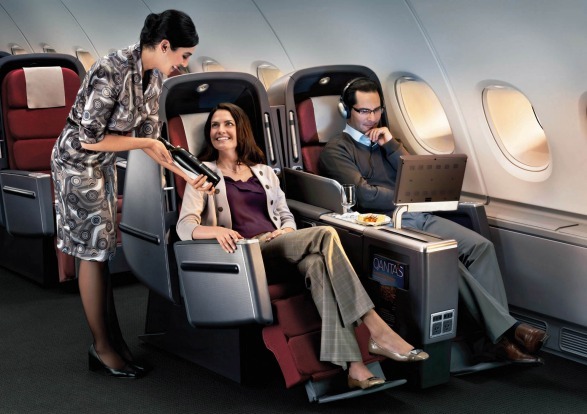 Qantas was also ranked among the best in the world across four separate cabin classes by the rating website. Despite some high profile aviation disasters in 2015, the total of 16 major accidents with 560 fatalities was below the 10-year average of 31 accidents and 714 fatalities. It was also an improvement on 2014, when there were 21 serious accidents with 986 fatalities. Malaysia Airlines, struck by two incidents that left all passengers on board dead or missing in 2014, was given five stars out of a possible seven in the ratings, the same as Ryanair and Thomson Airways. 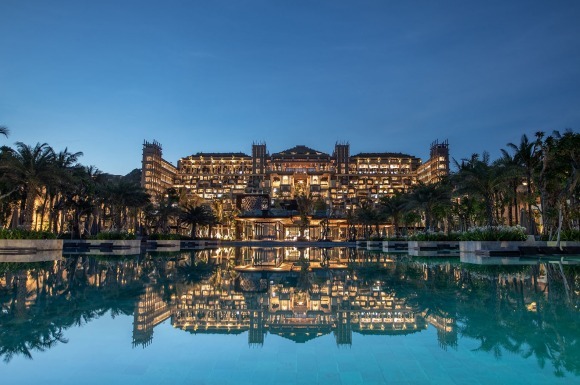 Mr Thomas explained that the Malaysian airline's rating was boosted by its completion of the IATA "operational safety audit" (IOSA), which he said Ryanair has not carried out. This is because, like some other budget airlines, Ryanair is not a member of IATA. ​﻿Many airlines choose not to complete the IOSA audit but this does not necessarily mean they are less safe than airlines that have done so. Ryanair, for example, says it has an "unblemished 30-year safety record". AirlineRatings.com also published a list of its ten best budget carriers in terms of safety, all of which have carried out the IOSA audit. Germanwings - the airline at the centre of crash in which a pilot deliberately flew a plane into a mountain - retained its seven-star safety rating this year. Mr Thomas said that this was because the incident was attributed to pilot suicide. "In our rating system, which is endorsed by aviation's governing body the International Civil Aviation Organisation, if deaths occurred through acts of terrorism, high jacking or pilot suicide, they are not included in the crash record," he said. Other airlines do, however, have records that prompted AirlineRatings.com to award them lower safety ratings. Iraqi Airways was last month banned from operating in EU airspace, due to "unaddressed safety concerns" according to EU officials. 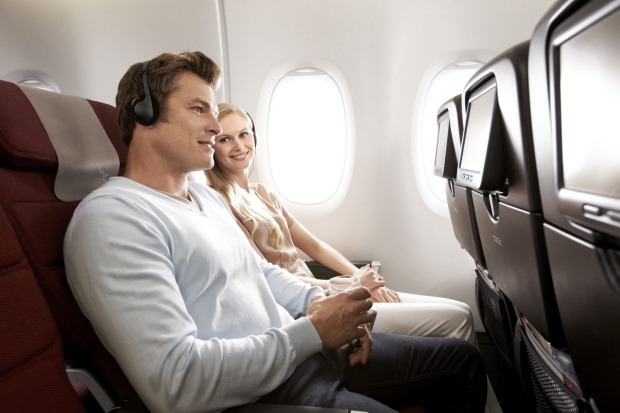 AirlineRatings.com awarded the carrier a two-star safety rating. Thailand's aviation industry was placed under "special measures" last year after issues were flagged up by the International Civil Aviation Organisation (ICAO). Carriers including Thai Airways, which AirlineRatings.com awarded four out of seven stars for safety, were spared being placed on the EU blacklist, but officials said they would "closely monitor future developments" and would consider bans if air passenger safety was at risk. Ten airlines, all from Indonesia, Nepal and Suriname, were deemed worthy of only one star for safety. They included Batik Air, one of whose planes reportedly skid off the runway at Indonesia's Yogyakarta's Adisucipto airport last November, and Paramaribo-based Bluewing Airlines.